Our flight home from Las Vegas was delayed last night, so we didn't get back until 1:30 in the morning. That means that when our alarm went off this morning at 6:00 -- which was 4:00 Pacific Time -- do you know what it felt like? But let's talk about happier times. Right before I left town, I ran over to the new house to take pictures of whatever progress I found. 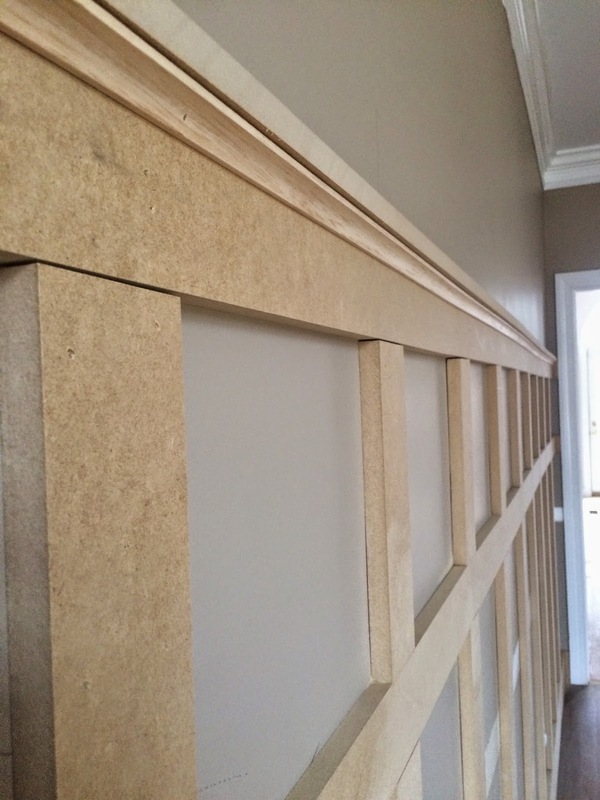 The main progress I saw was in the dining room, where the contractor -- a talented carpenter in his own right -- had completed the board-and-batten wainscoting. 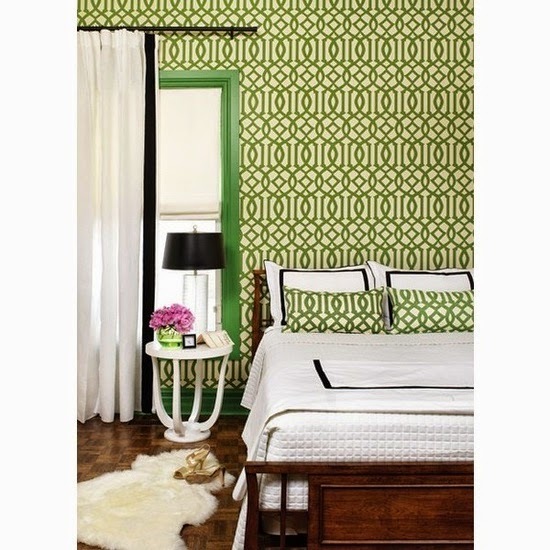 It's going to be caulked and painted trim white, and I'm planning to wallpaper above it with Imperial Trellis in green -- a bold, graphic print by Schumacher. 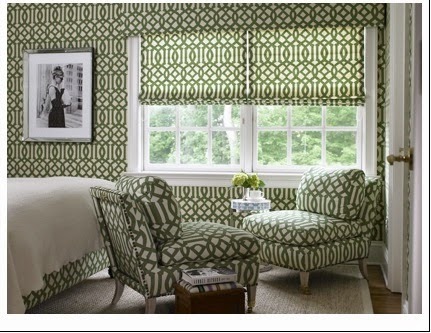 The only images I saw in a cursory search show the green colorway in what I would call an "overused" application ... I'd be using far less of it in our dining room. 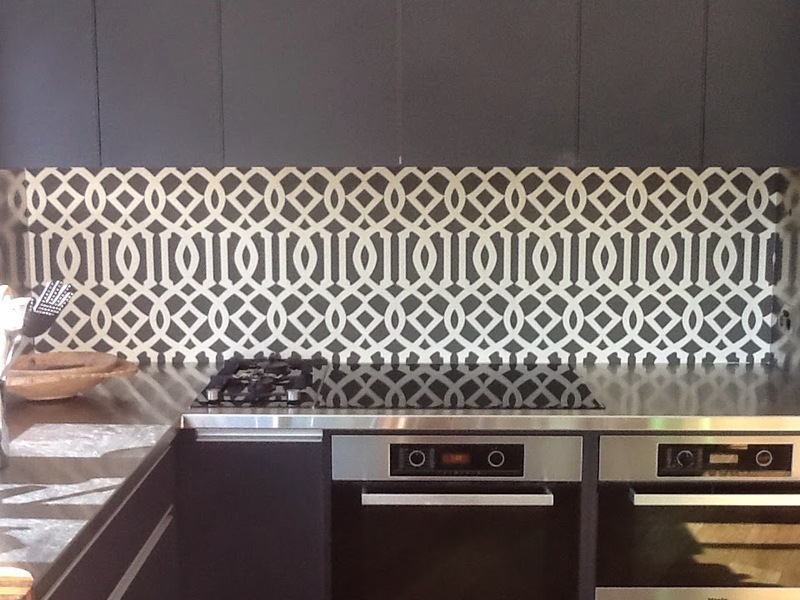 I'd be using an amount more similar to what you see here in the grey colorway -- which I also like, by the way, but my adjacent den is going to be very grey, and I really want the dining room to be different. Anyway, most of the room will be trim white, with the wallpaper above. Refinished floors, a natural area rug and lanterns to replace the brass chandelier. But I'm really happy with the work our contractor did on the board-and-batten. As it turns out, so is his wife ... he texted her some pictures of it, and now she wants him to install some in their house. CLEARLY SHE HAS GREAT TASTE.